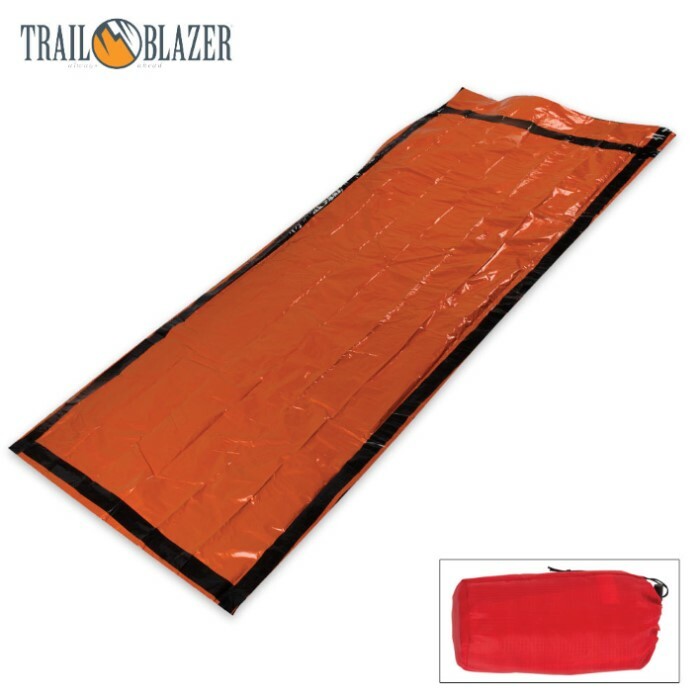 Trailblazer Emergency Sleeping Bag | BUDK.com - Knives & Swords At The Lowest Prices! 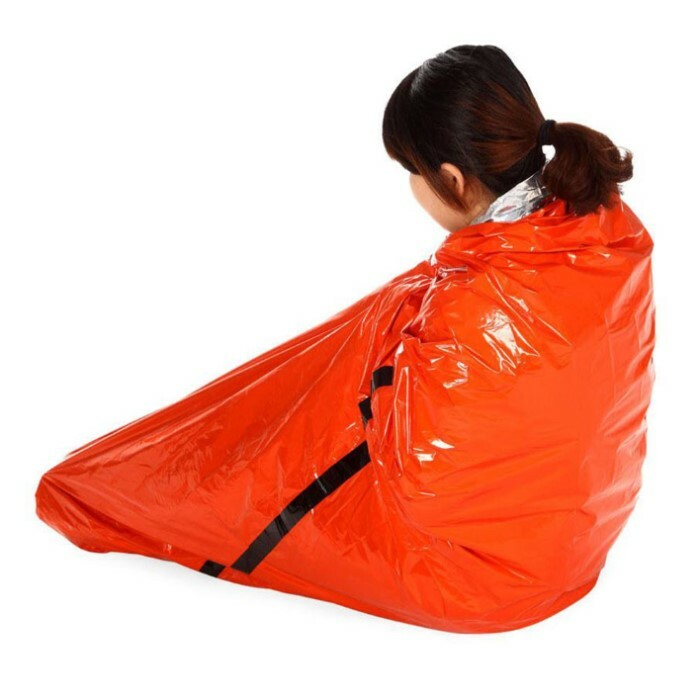 This orange emergency sleeping bag features an aluminum-coated interior, which insulates for extra warmth, and a strong exterior for durability. 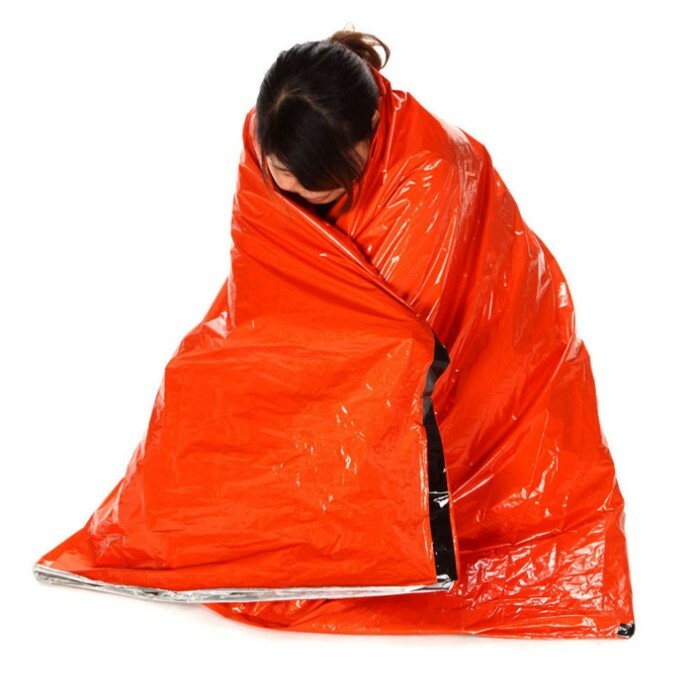 This sleeping bag is great for camping, hiking and emergencies. It can be combined with additional sleeping bags for additional heat. Definitely a large spread, im 6,1 and it just wraps me up. Used this when i was camping in the cold summer night, kept me warm just fine. Everything is great and worth it, except the material! It says its durable and reusable, but keep in mind its not designed for heavy use, and can tear immediately like mine. Definitely something to have in the bug out bag, came in a nice compact drawstring bag. Kinda wish it was a little cheaper in price, but the size will make you understand its worth.